The world keeps on turning and providing international designers and wallpaper artists with an inexhaustible source of inspiration. Browse hot-to-trot and cutting edge wallpaper novelties in our exclusive shop. Fascinating materials, haptic structures, motivic art and experimental fun are combined to create innovation in the art of wall coverings. New wallpaper patterns, intricate details or a new take on the classics create wallpapers which will adorn and elevate any room – like a splendid robe for your walls. Innovations in wallpaper design – simply breathtaking or breathtakingly simple: What really counts is how the design flatters a room and attracts the eye of the beholder. Tedious design homogeneity? That is what we aim to avoid at all cost. Conversely, our wall coverings are characterised by their innovative structures; they seduce the eye and the senses and create the backdrop for a feeling of general wellbeing. All YOU have to do is find what constitutes your own personal favourite in our comprehensive new wallpaper collections. 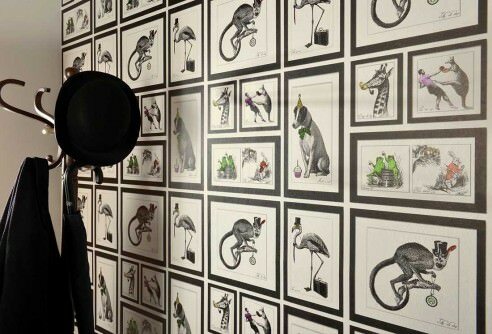 Wallpaper novelties reflect contemporary trends and styles. They translate the signs of the times into wallpaper design. We have created floral, baroque or striped wallpapers which capture the current Zeitgeist with their completely new appearance, special materials and innovative printing techniques: informal and free, or luxurious, sophisticated, and decadent. 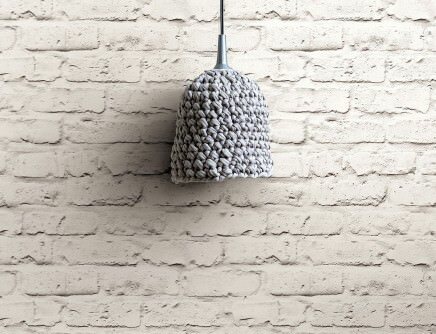 Our instinct for style is ever-present – and this is why our wallpaper shop not only offers you the styles and trends of today, but also the designer wall-coverings of tomorrow. 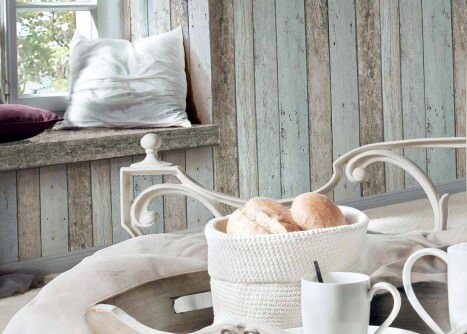 Wallpaper Innovations and Trends coming directly to your trestle table! Standing still means going backwards! In the wallpaper industry, this is particularly true, and wallpaper innovations are the essential element that will fill your home or business venue with fresh and unusual interior design concepts. Wallpapers from the 70s is always on the lookout for the latest wallpaper trends around the globe for you. We constantly find exciting new designers and keep our eyes peeled for exquisite materials and enchanting pattern creations. Discover new wallpaper collections in our Wallpaper Shop, before anyone else does! Wallpapers have fascinated humans for many centuries. The history of wallpapers begun with stunning intricate wall tapestries and progressed to textile and natural wallpapers. During the age of industrialisation, paper-based varieties came to the fore, and modern print and finishing processes were introduced into the world of wallpapers. Many advances in functional and haptic terms followed - a continuous process that still determines the creative output of wallpaper manufacturers and designers today. Wallpaper Novelties include interesting, hitherto unknown surface materials, new wallpaper patterns, structures and colour constellations. New wallpapers don't just simply bow to trends and the zeitgeist, they also boast desirable features like high functionality and flexibility. Washable, easy-care surfaces, exceptional insulating properties, fire-, light- and dirt-resistance - all these characteristics are constantly being improved. Wallpaper doesn't necessarily come in the classic rolls any longer. High-quality natural wallpapers, for instance, can be purchased as large-format wallpaper strips. And many designers, e.g. Le Monde Sauvage from France, provide small sheets that can be arranged in a multitude of ways. The wallpaper museum in Kassel, Germany, shows the many facets of wallpaper designs in a huge collection of more than 23,000 models from all ages and art epochs. About 10,000 wallpaper décors from the last 300 years are presented in comprehensive or specifically themed exhibitions. 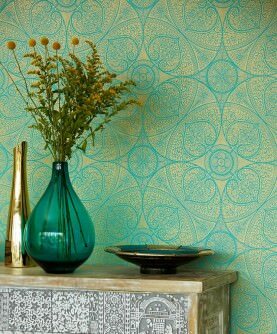 When comparing trend patterns and wallpaper innovations with those glorious examples from history, it swiftly becomes apparent that historic or antique patterns and motifs are often the inspiration for new wallpaper designs. When it comes to materials for wallpaper surfaces, many manufacturers and designers also use templates from days gone by, and tried-and-tested elements like gold, leather, natural and textile materials are becoming increasingly popular once again. But the age of hi-tech also provides plenty of inspiration for new dream wallpapers, e.g. featuring metal and effect foils or sparkling glass beads. Renowned wallpaper trade fairs in Germany - the "Trend Barometer"
Trade fairs are a clear indicator for wallpaper innovation trends. This is where well-known and new designers and manufacturers alike present their latest wallpaper collections. One of the most important events of this type is the trade fair "Heimtextil" which takes place in Frankfurt am Main every year and is considered the largest and most significant trade fair for home and object textiles. This is where the latest interior design trends are introduced to the public. International manufacturers, traders and designers are all present. Within the realm of home textiles, the "Wall" area is all about wallpapers, wallpapering tools and accessories, wall coverings, wall design, paints and lacquers. Another trade fair highlight for wallpaper trends is the international interior design show "IMM Cologne" which takes place in Cologne. Every year, the Cologne Exhibition Halls play host to interior design specialists from all over the globe. Brand new wallpaper novelties inspired by exotic countries, different cultures and cutting-edge styles are grabbing the attention of visitors just as much as highly sought-after luxury wallpapers by international designers. 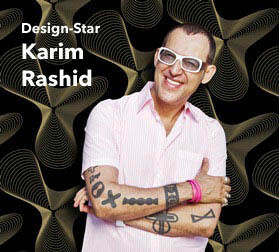 In addition, many wallpaper manufacturers host their own trade shows, and designers invite visitors to creative workshops. 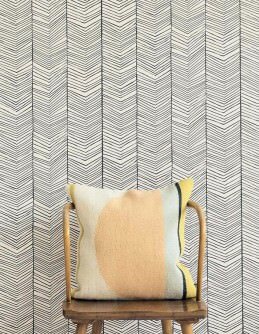 At Wallpapers from the 70s, we are a versatile bunch and we have a particular penchant for international design manufacturers and designers who re-invent the concept of wallpapers in spectacularly creative ways. We think outside the box, as the saying goes, and we are consciously not limiting ourselves to well-known wallpaper manufacturers. Our wallpaper range is huge; nevertheless quality is far more important to us than quantity. 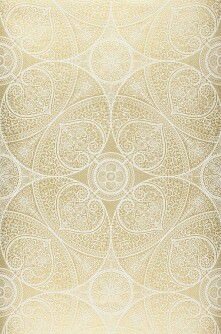 For us, exquisite wallpaper specialities based on wallpaper innovations are at the centre of everything we do. This requires a certain amount of serendipity and an intense interest in the concept. But promising wallpaper novelties aren't just the domain of wallpaper designers. Many creative artists include wallpaper design as a special addition in their portfolio. It takes good instinct and thorough attention to scout for new wallpaper treasures. Unconventional patterns and environmentally friendly manufacturing processes are the trademark of British label Dupenny from beautiful sunny Brighton by the sea. This young design team adores the Fifties, a penchant that provides their wallpapers with a frivolous charm and a generous dose of humour. Swedish designer Lisa Bengtsson is living the dream: her brightly coloured florals, aristocratic poodles or majestic tiger heads and risqué high heels are simply irresistible. Her new wallpapers are true eye-catchers and a ticket to fascinating dream-worlds. Vatos stands for new designer wallpapers full of glamour. Stylish patterns are complemented by luxurious surface materials and structures. We call these innovative wallpapers with their out-of-this-world wallpaper design Modern Art. Wallpapers by Coordonné are inspired by a multitude of art movements and boast a certain Spanish summer spirit. Geometric patterns and stunning tile designs are an antidote to monotony and give every room a certain je ne sais quoi. Our designer pool is constantly being increased. Just pop in from time to time and see which wallpaper innovations will win your heart! For us, wallpapers are a passion and we love nothing better than making your interior design dreams come true! And this passion knows no borders. Our customers live all over the world and regularly visit our wallpaper shop to discover the latest international wallpaper novelties. And we are especially pleased when satisfied customers send us their photos of projects involving our wallpapers! In our Customer Photographs gallery, you will find a whole world of the practical application of wallpaper inspirations. 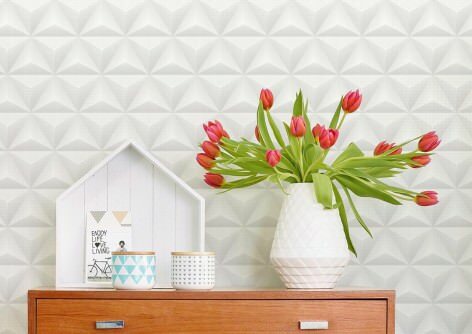 What are new wallpaper trends, and are they synonymous with wallpaper innovations? Experience tells us that there are small but distinct differences. Trends are generally focussed on the zeitgeist, whilst simultaneously experimenting and playing with existing elements. 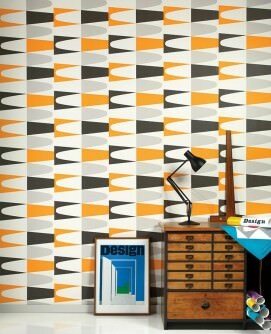 Popular, iconic or historic patterns are influencing new wallpaper design in a variety of ways, e.g. baroque patterns, floral patterns, retro patterns, and material imitation varieties like wood and stone. 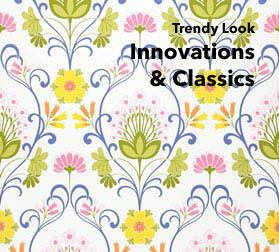 Trends are also based on specific themes which are then reflected in the wallpaper design as motifs or patterns. Wallpaper innovations aren't just limited to new wallpaper patterns. 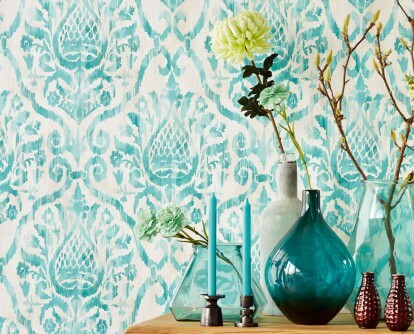 They also include material innovations, new or improved wallpaper characteristics, unusual formats or intricate details. New wallpapers have a clear goal: to create a furore, to attract attention, to be different from the mainstream, to set new signals and to have the wow factor. However, it is worth mentioning that wallpaper innovations often mingle and even merge with current wallpaper trends. Order wallpapers that are both brand new as well as trendy in our Wallpaper Shop. We'll keep you updated! What are the new trends, what remains en vogue in terms of pattern and materials? We share this question with our customers. The fact is, everything is always in flux, and that applies to wallpapers, too - who knows what lies ahead? It might break the boundaries of our imagination and blow our minds! But we can also see a continuous theme reflected in specific wallpaper patterns and timeless designs. 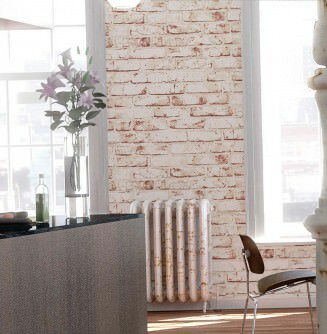 For instance, imitation wood or stone wallpapers never go out of fashion, even though they come in ever new incarnations, based on the latest wallpaper trends and wallpaper innovations. 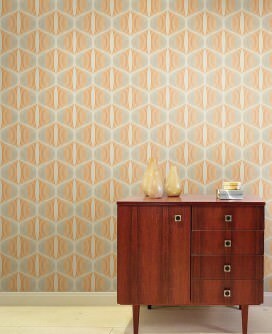 Baroque wallpapers and floral, stripey or vintage wallpapers also remain firm favourites. In terms of materials, non-woven varieties are the clear winners when it comes to our customers preferences - and the tendency is increasing all the time. These wallpapers can simply be pulled off the wall without the need to soak them first, and they provide a number of advantages in terms of process, versatile application possibilities (e.g. in wet rooms), durability and comfort. Surface materials like textile fibres or natural fibres are still popular, whilst the long-term trend appears to be moving towards shiny or iridescent metal and effect foil wallpapers. Glass bead wallpapers are also seen more and more. Flock and crush wallpapers, too, are enjoying increased popularity. Three-dimensionality makes wallpaper design more sculptural and creates dynamic depth in a room. 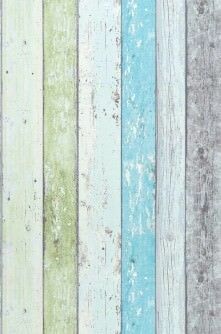 In terms of colours, many new wallpapers are bright and cheerful. This doesn't, whoever, mean garishness. Natural and earthy colours, pastel hues, many nuances of primary colours and mixed tones, metal variations like gold, silver, bronze and the patina typical for vintage designs are all still very much part of the picture. New children's wallpapers are going beyond the traditional scope of classic colours and patterns; nevertheless, they maintain strong links to favourite motifs and characters. They support and challenge children's development and continue to inspire playfulness and discovery.